Just like different types of skin, our hair types also vary from person to person. While some has dry frizzy hair issues, there are many who suffer from oily hair and scalp. Oily hair and scalp can be damn irritating. I thoroughly understand the pains of those who perfectly style their hair before going out and end up with a greasy and oily hair within a few hours. This is very bad as hair forms an important segment in a person’s beauty. The bouncier your hair, the more sophisticated you look. However, everyone is not blessed with naturally beautiful hair and if you are one, then there is nothing to worry about because there are natural remedies to set things right. Just like there are effective remedies for dry and frizzy hair, there are many home remedies for oily hair and scalp. If you have oily hair and you are concerned about how to set it right then read on the post, because today I will be sharing with you the list of top 21 home remedies for oily hair and scalp that has worked for me. I hope if you use these diligently, you will be greatly benefitted just like me. We all have oil glands which secrets oil. These oils are good for your hair as they prevent hair breakage easily and also take care of the hair roots. But, as you know nothing in excess is good, so when these oil glands secrete too much of oil, you suffer from oily hair and scalp. Moreover, the pollution outside makes your hair all the more dirty and greasy which intensifies your hair problems. There are several hair issues we face nowadays with oily hair and scalp becoming quite an important one. In fact, it not just makes your hair greasy, but with oily scalp, you may also suffer from break outs on your scalp due to the accumulation of oil and dirt underneath your hair follicles. But, you must never turn impulsive and start shampooing your hair every day. It is the biggest mistake and you may instead have a negative impact. While excessive oil is bad, too little oil is no better. Hence if you shampoo regularly, your hair will be deprived of the otherwise nutritious oil and turn lifeless. So, the best way to tackle the situation is to shampoo 3 times in a week and follow some of these home remedies for oily hair and scalp that we are going to discuss in today’s post. I know that you are eager to know about the best home remedies for oily hair and scalp but it is equally important for you to know some of the common reasons that may cause your hair and scalp to turn super oily. So, let’s begin with the common causes and then we’ll move on to the home remedies for oily hair and scalp. People struggle a lot to keep their hair issues at bay but if you know the common causes behind oily hair and scalp, then the battle will be far easier. 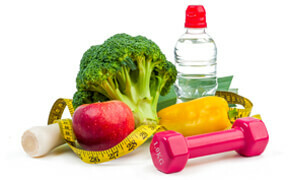 There are several factors, some unavoidable while others can be sorted with a little bit of change in your lifestyle. Now, that you know the common factors, let’s start with the effective home remedies for oily hair and scalp. Oily hair and scalp is reallyfrustrating. It not just makes your hair look wet all the time, but it also intensifies the chances of having dandruff. So, the early you solve the problem, the better. And, with my 21 essential home remedies for oily hair and scalp, things will get super easy for you. If you are worried about your oily hair and scalp, then worry not because you can get rid of it using apple cider vinegar. ACV is mildly acidic in nature and the acetic acid present in it is instrumental in balancing the pH level of your scalp. This controls the excessive oil secretion and does not allow oil to build up on your hair. Moreover, apple cider vinegar is a great hair tonic that can make your hair shiny and soft. So not only it helps you get rid of the oily scalp issues, but it also brings backs the shine. Application: Take around 2-3 tablespoon of ACV and pour it in a container. After that, wash your hair using a mild shampoo. Then take the ACV solution to rinse your hair. Let it stay for few minutes and then wash off using normal cold water. This is an extremely good remedy and you can use it 2-3 times weekly to get rid of oily hair and scalp easily. One of the most favoured home remedies for oily hair and scalp is the usage of lemon juice. Lemon is loaded with various minerals, vitamins and other healthy nutrients that becomes a perfect food for your hair. It is also acidic in nature just like ACV, so it also balances the pH level of the scalp and restricts excess secretion of the oil. In addition, lemon leaves a natural shine and glossiness to your hair that can be very effective for your otherwise sticky hair. Application: Take a container and fill it with 2 cups of distilled water. After that extract the juices from 2 lemons and mix in the water. You may add around 2 teaspoons of honey in case you feel that lemon may dry your hair. Then apply the solution on your hair and scalp and massage for few minutes. Leave it then for around 5-7 minutes and after that, rinse thoroughly using lukewarm water. Repeat the method 3 times weekly for effective results. Black tea not just energizes your body but if used properly can benefit in your oily hair problems as well. Black tea is a known astringent due to the presence of the tannic acid in it. Tannic acid tightens the pores and does not allow oil build up on your hair and scalp. So, you can definitely give it a try. Application: In a cup full of water, add around 2 tablespoon of black tea leaves. After that, boil it for 10 minutes. Then strain the leaves and let it cool down to normal room temperature. However, it is better to keep the solution lukewarm. Then pour it on your dry hair and scalp. Let it stay for 5 minutes and then rinse using a mild shampoo. Use black tea rinse remedies for 2-3 times a week and see the magic. Just be careful if you decide to use the lukewarm solution, instead of cooling it. Aloe vera is one natural ingredient to look out for. It has been used to cure several skin and beauty related issues. You can use it to treat oily hair and scalp issue as well. Aloe vera contains several minerals, vitamins and enzymes that are extremely good in curing oily hair problems. It perfectly cleanses your scalp off the various impurities and the build up oil and leaves it nourished. Your hair softens and becomes easily manageable after every aloe vera rinse. Application: Take an aloe leaf and extract the gel from it and then mix it with 1 tablespoon of lemon juice. After that, add the mixture in a cup full of mild shampoo. Now, wash your hair with the solution and keep for few minutes before washing it off. This homemade aloe vera shampoo is great for your hair and you can use it whenever you feel the need to shampoo your hair. The delicious egg yolk that you love to eat can also be used to remove the excess oil from your hair and scalp. Egg yolk will not just remove the oiliness but it’s also a great conditioner that will nourish your hair and will make your hair shine naturally. It is also believed to be extremely good in combating hair fall and you must use it and see how it works for you. Application: Take around 2 egg yolks in a container and add adequate drops of lemon juice in it. Now, beat the mixture well and then apply on your wet hair. Let it stay for around 7-8 minutes and then wash it off. Use the egg lemon paste two to three times in a week for great benefits. Well, you may love drinking beer or alcohol but now use some for your oily hair and scalp as well. Beers and alcohols have a drying effect on your hair and so you can use them to the best of your advance in removing the excess oil from your hair and scalp. The higher the content of the alcohol, the better will it be for your hair. Application: In a container, take around half cup of alcohol or beer and mix with 3-4 cups of water. Now, use this mixture to rinse your oily scalp. After couple of usage, you will feel the excess oil gone and enjoy the shine that it has brought to your hair. You may find it yucky but tomatoes are good for your oily hair and scalp. This is because tomatoes are mildly acidic in nature that helps in balancing the pH level of your scalp. It thus reduces the excessive secretion of the oil from the glands and keep your hair shiny and bouncy. Moreover, it can get rid of any kind of foul smell as well. Application: Take a ripe tomato and extract the juice from it. Now mix it with 1 teaspoon of fuller’s earth. After that, apply the mixture on your oily hair and scalp. Wear a shower cap to cover your hair and wait for half an hour. Then wash off using cold water. Use this remedy two times weekly for significant benefits. Corn flour is a common kitchen ingredient and you can use it to treat your problem of oily hair and scalp. Cornflour absorbs all the excess oil and leaves the hair glossy and bouncy. Also, the presence of Vitamin E and other nutrients and fatty acids makes corn flour extremely healthy for your hair. It reduces easy breakage of your hair and makes it strong. Application: Take some corn flour and sprinkle it on your oily hair and scalp. Massage generously for around 5 minutes and then keep for half an hour. After that, comb your hair of the excess powder and rinse using a mild shampoo. Repeat the process twice weekly for significant results. This amazing herb is great and is definitely one of the essential home remedies for oily hair and scalp. It is an anti-bacterial agent and is loaded with antioxidants which help in treating acne and pimples that is quite common with people with oily scalp. It removes the accumulated oil and keeps your hair shiny and strong. Application: Take a pan and pour half litre of water in it. Then add a handful of mint leaves and boil it for 20 minutes. After that, allow the mixture to cool down. Strain the water and rinse your hair with it after shampooing nicely. Let it stay to get absorbed naturally. Use this remedy every time you shampoo your hair. An orange peel is loaded with Vitamin C, calcium, and several other antioxidants that are great for your hair. It removes the excessive greasiness and adds on to a shiny and smooth texture to your hair. You can definitely try it out on your oily hair and scalp. Application: Take a few orange peels and grind them along with 2 tsp of honey. After that, apply the mixture on your oily hair and scalp. Keep it for almost 30 minutes and then wash with a mild shampoo. Use this method 3-4 times monthly. Bananas are the powerhouse of nutrients with vitamins, minerals and several other antioxidants present in them. They are the natural hair conditioners that nourish and rejuvenate dull and oily hair. They remove the excess oil and sebum and keep the hair follicles healthy and strong. Application: Take a ripe banana and mash it. After that, mix it with 1 tsp of honey. Then apply the mixture on your oily hair and scalp. Keep it for 20 minutes and wash off. Use it at least once weekly for good benefits. Baking soda is great oil absorbent and you can use it as one of the essential home remedies for oily hair and scalp. It is also alkaline in nature that helps balance the pH level of your scalp and reduces foul smell (if any). However, if you want to use baking soda, then use it in its diluted form to reduce any negative impact. Application: Take a bowl and mix one part of baking soda with three parts of water. Apply this paste on your oily hair and wash it after keeping it for few minutes. This is a great remedy and you can use it once or two times on a weekly basis. You can also use baking soda as a shampoo. You need to take some baking soda and massage your hair with it. Then take a good quality brush and brush your hair with it. This will absorb all the excess oil present in the hair and your scalp. Now, besides the above-mentioned natural home remedies for oily hair and scalp, there are some other tips as well that you must follow. These also form a part of the natural ways and remedies that will help you get rid of the oily hair and scalp issues. There are various shampoos in market but you must be choosy about it. Instead of opting for whatever is coming your way, you should opt for ones that are specifically meant for oily hair and scalp. After you shampoo your hair, you have to make sure that you have rinsed your hair and scalp off any chemical residue. Also, remember that if you do workouts and sweat a lot, it is better to shampoo your hair after that and not let the sweat accumulate on your hair and scalp. When you use any conditioner, try to apply it only on the ends of the hair. After that, wait for few minutes and then wash it off. Another trick that you must follow is to let your hair open most of the time and avoid tying your hair tightly all the time. This is because it causes stress to the hair roots and stimulates the oil producing glands. You must try to avoid brushing your hair too much or by using too much force as it may stimulate the oil glands. I understand that greasy and sticky hair and scalp may get itchy but you must avoid itching or rubbing it much as it may easily lead to infections. Drink lots of water and keep your system hydrated and detoxified. This will help you in getting gorgeous hair as well. The things you eat are important and so you must eat foods rich in proteins, Vitamins and omega 3 fatty acids to keep your hair healthy and strong. I understand that oily hair and scalp is really frustrating to look at and the battle against it is not easy. Such sticky locks simply mess the whole look as no matter how much you try to style it, it would turn greasy and look wet in no time. This is mainly due to the over production of sebum from the oil glands. However, worry not as there are ways to tackle the problem and get rid of the excess grease. I have here shared with you 21 effective home remedies for oily hair and scalp that will make your hair healthy and shiny in no time. Since all the ingredients used here are natural, so there is no tension of your hair getting damaged in the process. However, all these natural home remedies for oily hair and scalp are very effective but you cannot expect it to work overnight. May be from the first-time experience, you will be able to get rid of the excess grease only to experience it again after sometime. But, you must not loose hope. Instead apply these remedies patiently and diligently to get long term benefits. You should also avoid the harmful market products and get rid of the unhealthy lifestyle practices, and lead a disciplined lifestyle. Also, try to combat stress as it is one of the reasons behind oily hair and scalp. Try out medication and other relaxation techniques for the benefits. Maintain a good haircare routine and use the proper shampoo and container meant for oily hair and scalp. Are you pissed off with your oily hair and scalp? Then you may try out some of the natural home remedies for oily hair and scalp as discussed above. Share the feedbacks on which one you feel turned out to be the most beneficial for you. Also, feel free to suggest other effective home remedies for oily hair and scalp that you may have tried and found to be working. I will be back with some other amazing and important health and beauty topics soon. Until then, stay healthy, enjoy gorgeous shiny hair and please do like, comment and share this post. Hey, Thank you for sharing this guide. I am currently facing oily scalp issue. But after using some tips and remedies that you mentioned it’s beginning to decrease. so thanks again for sharing this great info. Very informative article but Can I use olive based shampoo or will it still be counted wrong? I confused regarding the use of olive oil based products. I want your expert advice on this matter. I have oily scalp which tend to be greasy most of the time. I use the Maple Holistics shampoo to de-grease for soft and smooth strands daily. Hi Sir very informative for us to solve out this problem which we are facing thanks for sharing this with us hopefully we will have a best result soon. What an insightful. I do have oily hair and this article tips will be a great help. Now, I have a question, I have egg allergies. Can I still use it on my scalp to get rid of excess oil on scalp?